Be the first to know about new boards, technology, shapers nights, and team news. First designed as a stubby, hot dogging, tube hounding machine for Kolohe Andino, this board continues to remain popular, year after year. With proponents praising its worth around the world, it remains a vital part of our line up. Its screaming fast low entry rocker, a wide-ish nose and “Driver” tail rocker, its one of the fastest down the line boards we have ever had. 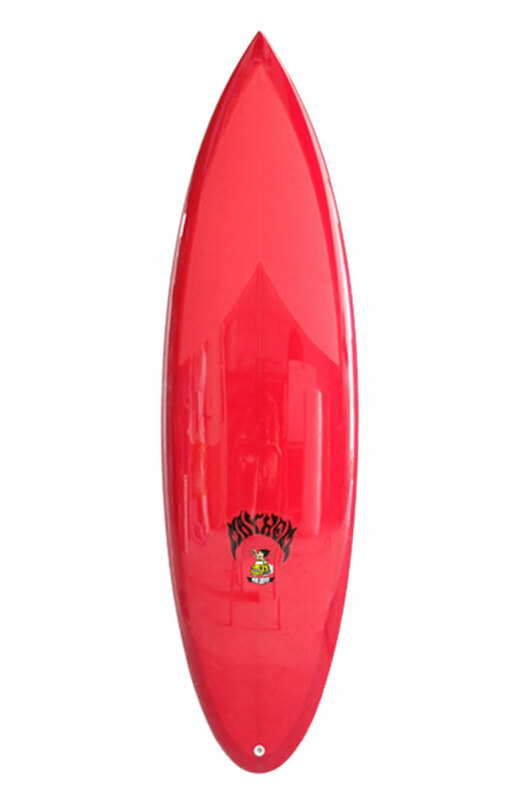 The Round pin tail retains generous surface area and still has pop, even in smallish surf. A very clean and elliptical outline that moves free and easy inside the tube. The Mini Driver performed as hoped for Kolohe, but has also been a proven player in even weekend afternoon Grom comp, in 2’ wind slop. The board works in everything and is still a custom order favorite around the globe.